Contextualization in the study of the history of Christianity in China has become increasingly popular in recent years. It has become a key research criterion in evaluating the strategies of Christian missions, of missionary behavior, of conflicts between Christian and local cultures, and of the success or failure of a given Church mission in China. 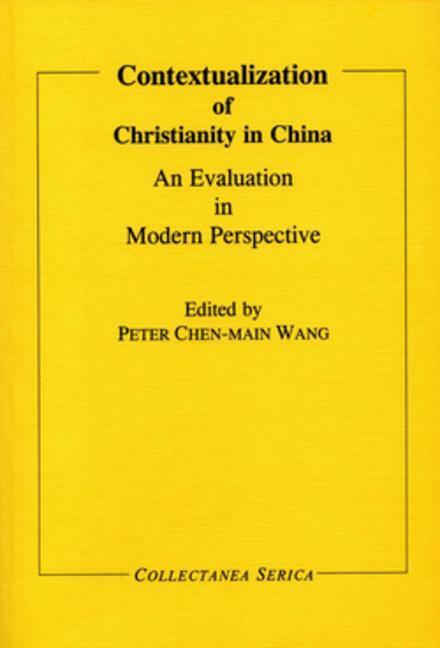 This volume presents the papers of an International Symposium on the "Contextualization of Christianity in China: An Evaluation in Modern Perspective" held at Leiden University in 2002, supplemented by additional contributions, covering a wide range of fields, namely, Sinology, history, theology, missiology, religion, philosophy, and political science. JESSIE G. LUTZ: The Sinification of Historiography of the China Christian Colleges. RICHARD R. COOK: Wang Mingdao and the Evolution of Contextualized Chinese Churches. R. G. TIEDEMANN: Anti-Christian Conflict in Local Context. The Life and Times of Pang Sanjie: Patriot, Bandit, Protector or Revolutionary? BEATRICE LEUNG: Christianity in Post-Mao China. Legalism and Accommodation.